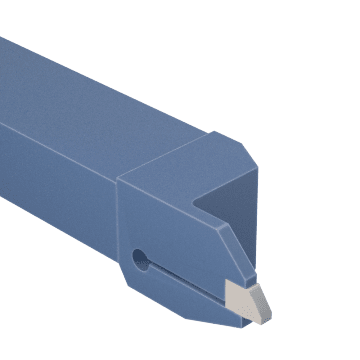 Insert one or more carbide inserts into these holders and attach the holder to a lathe to complete your parting or grooving task. 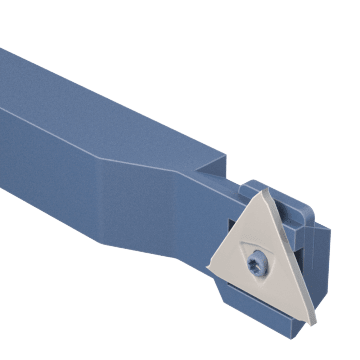 Designed for holding 2-edge parting and grooving inserts, these tool holders can provide coolant under and over the insert for good chip evacuation, less tool wear, and stable cutting performance. A rigid spring clamping mechanism holds the inserts firmly on the tool holder, allowing for increased feed rates. Use these inserts with lathes or CNC machines. These tool holders are suitable for face grooving applications at a 90° angle of orientation. 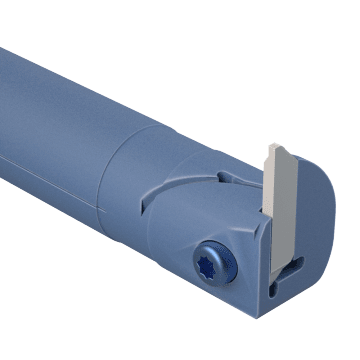 Designed for holding 2-edge parting and grooving inserts, these tool holders can provide coolant under and over the insert for good chip evacuation, less tool wear, and stable cutting performance. A rigid spring clamping mechanism holds the inserts firmly on the tool holder, allowing for increased feed rates. Use these tool holders for face grooving applications at a 0° angle of orientation. 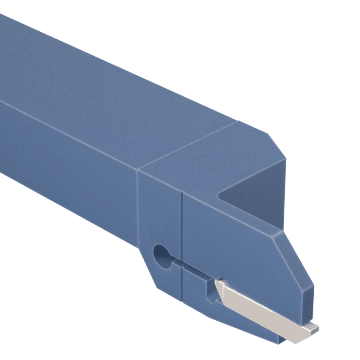 Designed for holding 2-edge parting and grooving inserts, these tool holders can provide coolant under and over the insert for good chip evacuation, less tool wear, and stable cutting performance. A rigid spring clamping mechanism holds the inserts firmly on the tool holder, allowing for increased feed rates. Create internal threads in metal with these boring bars. 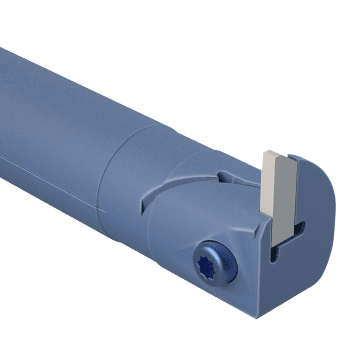 Designed for holding 2-edge parting and grooving inserts, these boring bars can provide coolant under and over the insert for good chip evacuation, less tool wear, and stable cutting performance. 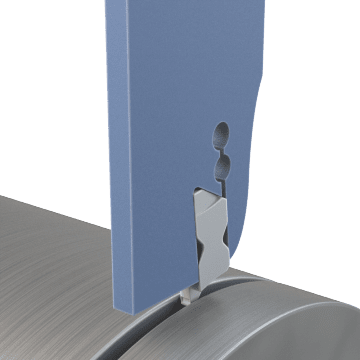 A rigid spring clamping mechanism holds the bar firmly on the tool holder, allowing for increased feed rates. 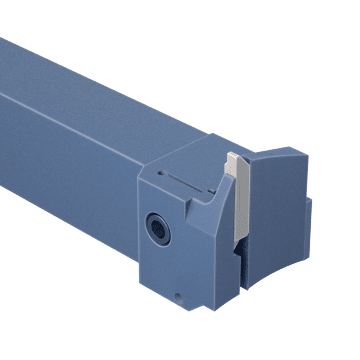 Suitable for holding 1-edge parting and grooving inserts, these tool holders are ideal for grooving and internal face grooving operations, cutting deep grooves, parting off large components, and machining long overhangs. Make internal threads with these boring bars, which are compatible with 1-edge parting and grooving inserts. 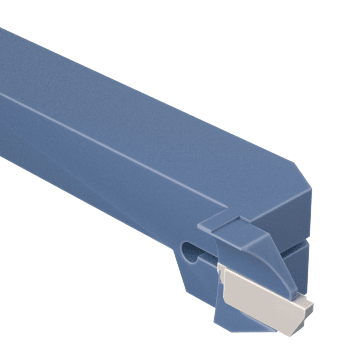 Compatible with 3-edge parting and turning inserts, these tool holders are ideal for creating narrow, precise grooves and circlip grooves. Because they cut narrow grooves, these tools can help save material in parting applications.